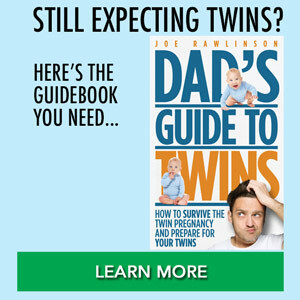 In this episode, I chat with Mike Donnellon, father of fraternal twin girls. 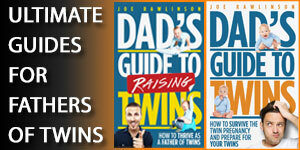 Joe: Hey there, and welcome to the one hundred and eightieth episode of the Dad’s Guide to Twins Podcast. This is Joe Rawlinson. 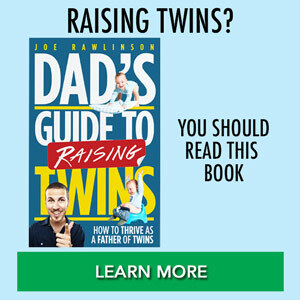 Joe: As always, you can find me on the web at twindadpodcast.com, where you can find the complete show notes and transcript for this episode and all previous podcast episodes. 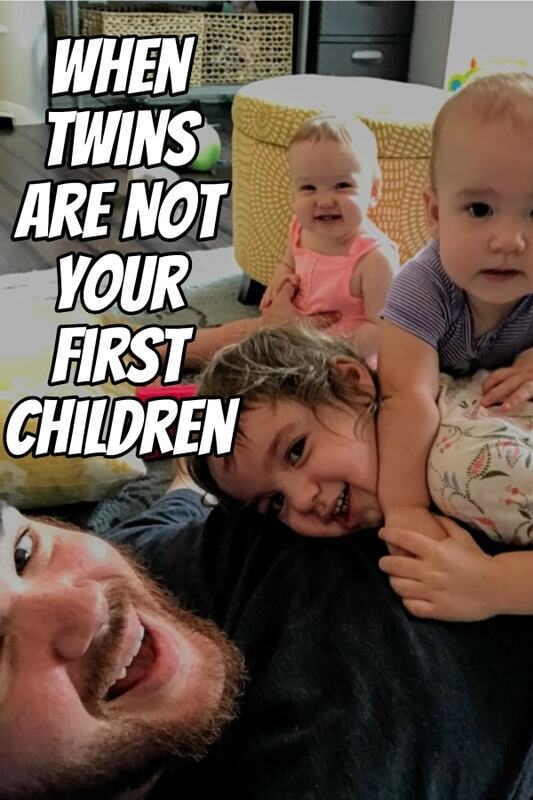 Speaking of previous podcast episodes, today, we are continuing our father of twins interview series, with fellow father, Mike Donnellon, who told me that his wife used to listen to this very podcast and these very types of stories while they were expecting their twins. So, I’m excited to jump into his story today and share what they’ve learned along their way with you. 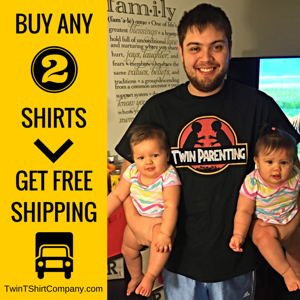 Now, today’s show is brought to you by my TwinTShirtCompany.com, where you’ll find dozens of t-shirt designs, specifically, for parents of twins, like yourself. Joe: In fact, I’ve recently redesigned our popular ‘Twinado chaser’ t-shirt, and added a version for your twinados themselves. So, mom and dad, you can have a shirt that says ‘Twinado chaser’, and each of the twins can have one that says, ‘Twinado’. 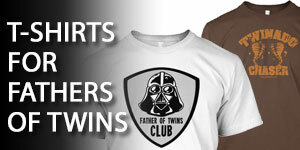 You can see those shirts, over atTwinTShirtCompany.com, or I’ll link up to that, in the show notes for this episode. Now, let’s jump right into our chat, with Mike. Today, I’d like to welcome to the show, fellow father of twins, Mike Donnellon. Welcome to the show, Mike. Joe: Mike, tell us a little bit, about your twins, right now. How old are they, and what’s the most, exciting part of this age? Mike: They just turned eleven months, yesterday, so it’s been pretty exciting. One of them, is crawling really well, really moving, and pulling up, and kind of, zooming around, the other one’s pretty close behind, she’s been a little, bit, behind her sister for a while. So, you know, they’re in that stage where they’re both kind of, crawling different directions, and there’s kind of, a lot of running around the house. I’m trying to keep them from eating anything on the floor, or yanking on the dog’s tail. Thankfully, we have a three-year-old daughter as well, who does a pretty good job, she knows the rules of the house, and what to do. So, she’s been a great help. Joe: Have you seen that difference, developmentally, since they were born? Mike: Yeah, I would say from the very beginning, well, maybe not the very beginning, ’cause the last couple days, wasn’t too much, but you know, most stuff, as far as just lifting up her head, that Jolene, who’s the oldest, by about a half an hour, but she was weighed last-, she was about six pounds, six ounces, compared to her much bigger sister, seven pounds, eleven ounces, Quincy, that Jolene’s always been a little, bit, more ahead, as far as grabbing stuff, as far as doing a little, bit of crawling, and her sister, usually gets there within maybe two, three weeks. Whatever Jolene is doing, Quincy, eventually is doing. Joe: And how’s the twin experience been for big sister? How has she adapted, to that transition? Mike: She’s done really, really well. You know, you don’t really know what she’s gonna go through, or how she’s gonna do, but, you know, it’s all three girls, and so she’s been very, very intense, in how much she’s loved having both her little sisters. Occasionally, I ask her if she remembers not having sisters, ’cause you know, she was about two, and a half when they were born, and she doesn’t quite remember it. Mike: So, she’s been really, really good. She’s always enjoyed, like, holding them, sometimes she’s a little aggressive, when she wants to feed them a little, bit, more than they want to be fed, but she’s been a big help, as far as you know, working with them, playing with them, and you know, when they sit in the car together, you know, she’s forward facing, and they’re still rear facing, and so she can, you know, sing songs to them, and yell at them, and all that. So, it’s been wonderful. Joe: That’s a great dynamic, between them. Our kids came close together as well, we had four kids, ages three, and younger, when our girls were born, and like you had mentioned, your oldest daughter, doesn’t quite remember life without little sisters. We had some very similar with our kids, ’cause they were so young at the time, and one of our boys was kind of like your daughter, who’s just very attentive, to the twins, and is very engaged with them, and our other son didn’t really want anything to do with them at all, in the beginning. It took a while, for him to warm up to them. It sounds like you have a good dynamic there. Mike: Yeah, I think it was just the right age. I think, if it would have, happened like, now, when she was three, and a half, I think she’d be a little, bit less certain, but kind of, that two, and a half age, where she’s just kind of, coming into her own, as you know, a little, bit, as of a person who can talk, and all that, I think that the excitement she had, was really great. Joe: So, now that they’re eleven months old, what’s the typical, daily schedule like, as far as sleeping, and eating patterns, things like that? Mike: We’ve been very lucky, they’ve been pretty good sleepers, for a long time now, it’s hard to know exactly when they became good sleepers, ’cause a lot it’s kinda fuzzy, as I’m sure you know, and so, they sleep through the night, usually, you know, we get ’em down around seven, usually they wake up, maybe six, to seven o’clock, something like that, and hopefully, they get about a two hour nap, from ten to twelve during the day, and then they usually get a second nap. Well, they always get a second nap, but usually, it’s around two thirty, to maybe four, every day. Mike: I’m a teacher, so we’re just getting into the school year now, so they’re transitioning to daycare, and so, that’s been pretty good, they’re doing pretty well there, but during the Summer, it was very, very, you know, regimented schedule. I mean, they wanted it, you could tell they wanted to go to sleep, and they did a really, really good job, we just basically put ’em down, and walk away, and ninety-eight percent of the time, they fall asleep. Joe: So, now that everyone’s back to work, how did you go about deciding, what would be the best daycare option? Mike: The oldest daughter, Betty. It was the same daycare she’d been to, so, my wife’s an optometrist, and I’m a high school teacher, it’s nice, ’cause I always get the Summers, and I’m with her, in the Summer’s, and so, you know, we were looking for, you know, what exactly to do, we, of course, thought about, you know, I would probably be the stay-at-home dad, in that case, whether we wanted to do that, and we decided, I really wanted to keep working, and it’s nice, ’cause I’m still out, relatively early. Mike: You know, I can be home by three, three-thirty, each day, and so, we loved Betty’s daycare, we loved the people who were there, they did a fantastic job, and she really enjoyed being there, so we were kind of, excited actually, to bring the twins there. They were excited, as well. I mean, they still have Betty there, so, they were really excited to have the new kids there too. Betty’s super excited to have her sisters there, you know, she’s always talking about, you know, how they come to her school, as well, so, it worked out, really well. It’s close by, you know, it’s works for both of work schedules. Joe: Does your older daughter get to interact with them, during the day, or are they kind of separated by ages? Mike: They are separated, but, I think, sometimes, Betty makes demands, and so, I know, at least, on the first day of school, you know, she’s like, ‘I really need to check on my sisters’. Probably not quite that language, ’cause she’s three, so, she’s gone over there, once, or twice, but usually, I pick her up first, and we go over, and we make a big deal of it, that, you know, me, and her, we’re getting her sisters, and we’re gonna go home to play, and so, she’s always super, super excited. She always knows that they’re there, though, but its only been, I mean, a week, and a half so far, of them being at the same daycare. Joe: That’s a fun ritual you have, there at the end of the day, to go help her, help you, to get the girls, nice. Mike: The more responsibilities we give her, the better it works out, the more she understands what to do, and all of that, I think, the more it works out, for us, because, you know, there’s always those, as many moments as possible, where she can help, is the better. Joe: So, let’s rewind the clock, back to when you found out you were having twins. At this time, you had a much, younger daughter, when you got that news. What was that experience like, for you, and your family? Mike: The pregnancy, from very, early on, was completely different. That, my wife, when she was pregnant with our oldest, things went really, really well, that, you know, she didn’t really have too much nausea, she worked up until, you know, a couple days before giving birth, and she did okay, but this one, really early on, we had a very, strong, positive pregnancy test, and we looked up why that is. Mike: You know, it was a very, very dark line, she took it very early, and a few of the things online, said, ‘Oh, that could mean higher hormone levels, that could mean twins’, which, you know, we were obviously a little scared about, but then, she got nauseous, a lot earlier as well, and a lot stronger, and she went in for, you know, the standard test, standard checkup, and they told her that she had some elevated HCG levels, and that could be thyroid, you know. Mike: So, she went in to have some checkups, and you know, we’re very, ‘worst case scenario’ people, which I think works out well, because, you know, we rarely hit the worst case scenario, but, you know, we went to Google, and we looked up everything, and a lot of it pointed to twins, but some of it pointed towards some other problems with the pregnancies, so we were very concerned about, you know, maybe there was some other, physical issues there, that it could be, and when we went in, for the first ultrasound, to check whether it was twins, and it was early on, I forget exactly how many weeks it was, but it was much, earlier than normal. Mike: The tech pressed down the little, wand and, it was clear as day. There was two sacs up there, and she just kind of, smiled a little, bit, and said, ‘If they told you what elevated HCG could be’, and so, we sort of, just, my wife, and I just looked at each other. She started crying, I think, you know, eighty percent happiness, twenty percent concern. Her sister has triplets, and so, we’re very, aware of the difficulties, and the joys, of what can go into having multiples, and so, and the whole family is, like, it’s a close family, and her triplets are a year older, than our oldest, and so, we spent a lot of time, over there, when they were very young. Mike: We helped feed, and she slept over there a few times, to help them, my wife, slept over there to help them, so, we knew the difficulties of it, but, you know, it took, within the half hour or so. I think, you know, we were ready, we knew, it could be great, and we were very, excited. I always, sort of, wanted to have maybe three, she was saying, you know, two probably, would work, but it’s kind of, fun to, you know, kind of, get that big family, real quickly. Mike: So, immediately, we started to make plans, and you know, telling the family was fun, because, everyone had, had familiarity with the triplets, and they knew about them. They were all overjoyed, and also, you know, concerned for us, knowing that it would be very hard, so. Joe: Well, that’s exciting that, you were able to interact with triplets beforehand. I guess it was, kind of, fortuitous, getting you ready for your parenting journey, as well. Mike: Repeatedly said, can you imagine three? But we do have three overall, but one’s much more helpful than newborns are at that stage. Joe: How did the twin pregnancy go for your wife? Any complications there? Mike: No real complications, just immensely difficult compared to the first one. My wife, she’s used to moving around. She’s used to being on her feet all day. She’s used to … At that point with a toddler, two-year-old, you have to crawl around on the ground a lot and randomly do jumping jacks because she’s demanding it. It was a lot harder for me because she just couldn’t do that stuff. Mike: At some point, she got to the point of being pretty near immobile. We had a scare around, I think it was very close to 32 weeks, where we thought the babies were coming. We went into the hospital and they were checking her and checking contractions. With a twin pregnancy, contractions aren’t too uncommon even at 32 weeks. It ended up being okay. They sent her home. I know she got some medicine. I’m not exactly sure what. They sent her home. At that point, it was bedrest. Mike: For the next, I think, almost four weeks she was able to be at home, which was hard for her because she wants to get up and moving, but really all she could do was sit. Luckily the nausea was done by then, but the mobility was pretty much zero. At that point, I became in some ways a single dad. I was the only one who could really give our daughter a bath. I was the only one who could go on walks with her and play. Mom did end up reading thousands of books to her over the course of the next couple weeks but couldn’t really do much more than that. Mike: Around, I think just a little bit before 36 weeks, is when her water broke and we went in. Luckily, we were able to avoid a c-section. We went into the OR and she had a vaginal birth about 30 minutes apart. Our daughters were there. Joe: The girls were in the right positions for that to happen smoothly? Mike: The whole time. They were almost certain fraternal, partially because they looked totally different, but they were in different sacs, different everything the whole time. They were head down every time they looked. We didn’t want to get too ahead of ourselves because we read a lot of stories. My wife was a religious listener for your podcast. It became almost a joke. She would turn to me and start many sentences with, “On the Twin Dad podcast …” because she was listening to it in those four weeks a lot too. Mike: There’s so much variation as far as what can happen, but all the physical stuff for us looked good almost the whole time. We were hoping that everything would go okay. We were hoping to get to about 35, 36 weeks and we made it. I think it technically was a day short of 36 weeks, but I think we were way more stressed that last couple months of the pregnancy than we were even after, like the once the newborns came home. It was a lot less stress having them here with the work just because we just knew how many things could go wrong, but it worked out great. Joe: What was your experience like in the delivery room with your girls? Mike: Very different than with our oldest daughter. What I remember with her is it was one person. It was me and my wife and one other person in there. It felt like a longer process. I’m not sure because time seemed a little bit weird in there, but there was one person. Because it’s twins, they were delivering in the OR. We walk into the OR and it felt like 58 people in there. I’m sure it was probably 11, but they have the double incubator set up and everything. It’s a huge concern what’s going to happen, but everything was going well. Jolene was born first. Seemed to be born way more quicker than either of us thought. I think we were both really surprised. The stress of the pregnancy I think finally overwhelmed me in that moment when she came out and she was fine and she was crying. Where they take her to the incubator and six pounds, six ounces is a pretty good size for a preemie twin. Mike: At that point, I had a face mask on, but I started giggling because just how amazing it was. Then there’s that moment where there’s the baby over in the corner. They’re getting washed off, but they gave my wife a three minute break and they’re like, “Okay, now let’s do another one.” We knew the second one was going to be the bigger one. They told us the whole time that she was at least a little bit bigger. Again, little did we know that she was going to be seven pounds, 11 ounces, which is a very large for especially a girl premature twin. I had to decide, do I leave my daughter? Do I go to my wife? I was kind of jumping between them a little bit. Mike: Luckily, it took only 30 more minutes, which at the time I’m sure for my wife seemed a lot longer than for me. The baby came out and then everything was mostly fine, normal. Everyone, both mom and the girls were healthy. Joe: Was your wife able to hold them right away or was there a delay there? Mike: Yeah. When she had the first one, they brought the first one over very quickly and she got like four seconds with her. Something like, “Hold the baby. Okay. You have a baby. Congratulations. You now need to do another one.” The second one took a little bit longer and there were, not really issues or anything like that, but it was just a little bit harder. They took her and same thing. They were able to hold her very, very quickly, but then because of some minor complications of obviously having two children within a half hour period, they were taken to the NICU pretty quickly just as a quick little check. Mike: We had assumed that they’d be in the NICU for a couple days at the very least, if not several weeks. The triplets were in the NICU for several weeks. They were born a little bit earlier than twins, but everything we heard is, “Be prepared for these kids being in the NICU.” They were there for like 90 minutes. At that point, my wife’s just eating a graham cracker. The twins are wheeled into the room and they just say, “They’re fine. They’re yours now.” We got to hang out with them and hold them and all of that. Joe: That’s wonderful. After a few days, mom and babies, everybody went home? Mike: Yeah. I think we had one extra day in there because of some bilirubin jaundice just observation. Then came home and that was it. We were a family of five. Joe: What arrangements did you make for your older daughter when it came time to go to the hospital for delivery? Mike: We were incredibly lucky that maybe, I’m not even sure how long, it was several months maybe before the twins were born. One of my wife’s aunts, her aunt Karen, moved to … I mean maybe a six minute drive from us. Very, very close. The process was when emergency happens, she was going to come over. We had called her maybe at four in the morning. Of course, she wasn’t … You’d think shed be tired, but she was just super excited because she knew what was going to happen, so she was ecstatic to come over. Betty was still asleep. Mike: Once we left, it was to call my wife’s mom, Betty’s grandma, to come get her. She came. She’s much more familiar with the grandma although she knows the aunt pretty well, but her grandma knows the schedule and she used to watch her a day a week for a couple years there. She came in and she was amazing. She was able to keep up with a two and a half year old for about three and a half days until we got back. She did an unbelievable job of taking care of her. The whole time, she’s showing her pictures and telling her about it. One of the days, of course, she came up there and saw the girls but she was … I think the first moment, our daughter was a little concerned about how tiny they were, but she warmed up to them eventually. Yeah. For those three days, she was watched by her grandma. 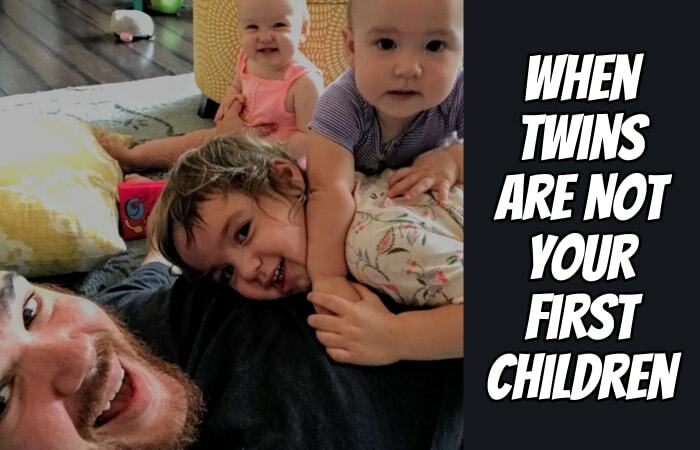 Joe: When you brought the girls home, what is something that surprised you the most about having twins in the house? Mike: How quickly the older daughter took to them was a big one. I think a big one too was just … It seemed very cool very early. I mean it’s weird and it’s difficult and all that, but it was … When you have one kid, there’s a little bit more negotiation over who’s doing what, who’s waking up, whose turn is it. But when it’s two kids, you fall into this routine of, “You get that baby. You get that baby.” It’s harder because there’s always something to do, but it’s always … Especially early on when it’s quite literally a brand new baby, it’s nice to both have access to one at all times. Anytime you want to hold the baby, anytime you want to snuggle, it works out fine. It was nice to be together as a family because we’re not going out or doing anything too much those first few weeks, especially. Just to always have a baby around to hold was pretty great. Mike: Then you get the flashbacks of your oldest kid and just the little things that you kind of forget. I forgot you’re supposed to burp a kid, which is so incredibly obvious, but after a feed or two and you remember this is such an essential part of what you’re doing and just kind of falling back into all of that. Joe: Did you all have success with breastfeeding the babies or formula feeding? Mike: The oldest was breastfed pretty well. She had some formula supplement. We knew the benefits and so the idea was the really try hard. Like most people, until you have a kid, you don’t realize how difficult breastfeeding can be. The oldest was … The hardest part, I think, of the parenting was that those first couple weeks is you make the transition and you try to teach her to latch and mom kind of gets used to all of it is very difficult. Our plan was to do everything in our power to breastfeed. Mike: … month. It was to ween off of pumping and just move towards formula. As much as I think breastfeeding was an amazing decision with our oldest daughter and we both agree it was worth all the work, I think we also totally agree that formula was an amazing decision with the twins and I think it worked out really, really well. Mike: Particular, because now I can be strongly involved in the feeding process. It worked out well. So, they’ve been on pretty much exclusively formula since maybe four or five weeks. Joe: You bring up an important point, that it is … There’s a lot of discussion and it’s not an easy decision to make that transition. Joe: Often times we make plans before the babies arrive and you have to change those plans based on the reality of what’s going on with mom and with the babies, but it sounds like you had made a good decision there for your family. What’s gonna work best for you. Joe: You highlight a very positive outcome of that, which is as the dad you get to participate more fully in the feeding experience. Right? That’s something that I enjoyed when it came feeding time for our girls after we had to move from breastfeeding to formula as well. Joe: It was like, “Oh. I can actually take one of the girls, and hold her, and feed her.” That was a great opportunity to bond with each of my girls one by one. Mike: Yeah. Even just bonding with my wife somewhat, because the first … That time, especially when they were early on we’re trying to establish some types of schedules. It’s a little easier to wake up at midnight, and 3:00 AM, and then 6:00 AM if you’re waking up with a partner. Mike: It gave us a little bit of parenting time to kind of assess the situation, which I think was really great. Joe: Were the girls in your room sleeping or were they in their own nursery? Mike: They were in our room for a while. Not sure … Well, when I say a while I mean five/six weeks. Something like that. They were both very congested, and so we had our bassinets setup, but they ended up sleeping a lot in kind of the rock and play type of thing because they really, really struggled otherwise. Mike: But, they were in our room for a long time. One of them was a better sleeper, so I think at that point we decided to separate and we moved the better sleeper, Quincy to her own room and Jolene stayed in our room for a little bit. And then, eventually we put them together in their own room. Mike: But, same thing. The slightly worse sleeper who’s also much louder kind of set us to … Luckily, we have the space. We separated them and they’ve been in their own cribs, in their own nurseries since … It was probably three or four months is when we split them up. Joe: They’re each in their own room now? Mike: They are each in their own room. Yes. Joe: When did they start sleeping through the night for you? Mike: They would sleep until like 5:00/5:30 AM, and then we’d give them maybe a four or six ounce bottle and they’d go back to sleep until 7:00/7:30 AM. That’s been sort of their pattern now for six months. 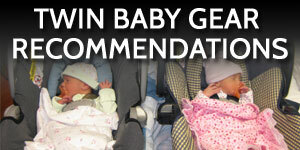 Joe: What’s been a piece of baby gear that y’all have had for your twins that has really made a positive difference for your quality of life? Mike: I think early on the motorized rock and play was great. I know there’s some controversy about using those for sleeping, but I know it worked very well for us for naps and things like that, because they just really struggled sleeping flat. Mike: That’s been great to just … Anytime we need formula, to just hit a button and to get six ounces or four ounces has been really, really wonderful. A lot easier than … We were using the bottle steamer sometimes with the oldest. Mike: Even that three minute difference could be the difference between a child that’s a little groggy or a little tired versus a child that’s screaming uncontrollably. So, having a Baby Brezza has been awesome. Joe: Tell us a little bit about how you juggled time off of work for you and your wife, and how much time you’re able to have at home. Mike: My wife has … Thanks to the FMLA legislation she was able to take 12 weeks off. That 12 weeks … I think she was able to get them to count those 12 weeks starting with when the babies were born and not her … She just had basically unpaid time off for her … She was able to use her vacation time when she went on bedrest and then was able to use the 12 weeks once the babies were born. Mike: After 12 weeks she was going back to work and that would have been around March is when she went back to work. At that point, I decided to use my FMLA as well. And so, I took the 12 weeks off. And so, it was me at home with the babies all day for 12 weeks. Mike: At that point I went back to work, and then there was only 10 or 11 weeks left in the school year. So, we did the daycare thing for 10 or 11 weeks, and then luckily once again summer rolled around. It was me and the three girls for three months after that. Mike: They’ve had to do … It’s 11 months and they’ve had to do maybe 12 weeks so far of daycare, which is not too bad. And so, being able to get those first 24 weeks with one parent or the other was really great. Mike: Being a teacher and being able to watch them during the summer has been really great too. Joe: Oh. Absolutely. What’s something that you’ve done to be able to keep your relationship strong with your older daughter and keep that relationship going? Mike: Nap time’s been great. I think it’s one of those things where our older daughter has decided that she won’t nap for us anymore, she will nap at daycare. Which is nice, but for us she apparently just wants to run around the house, and scream, and play. Mike: But, it means that when they take their nap for two hours it might mean I have to do the dishes or get lunch ready for a little bit. But, it does mean that especially during the summer I get one on one time every single day. Mike: I get an hour/hour and a half at least of one on one time. Same thing. My wife, she has Wednesdays off during the week. And so, while I’m at work she’s able to get that full day with all three of them and just her. Mike: And then, same thing when the babies go to sleep it’s now we can go outside and run around a little bit more than we would’ve before. Maybe we can do a craft that has sequins this time, because the babies aren’t going to try to eat them or anything like that. Mike: And so, having that kind of extra time each day has been really great. Joe: As we wrap up today, Mike. Imagine a friend of yours comes to you and announces that they’re expecting twins. What is some advice that you would share with them to help them on their journey? Mike: It’s funny, because before I had twins it sounded like one of the scariest things in the world. But, every twin parent I know they kind of say the same thing. Once you get over the hump it’s amazing. It’s unlike anything you could ever experience. Mike: I remember … I think it was from your podcast probably, where somebody said … It might have been from your book too. My wife read that. Where whatever you do, don’t sit down until everything’s done for the day. Mike: That when you get the kids to sleep you have to do all the things for the morning, which is what we just did. We had to get lunches ready, we had to do the dishes, we had to get their bottles ready. Mike: I break that rule of course on occasion, but the more I don’t break that rule, I think the saner things get, and the easier the mornings get, and just the easier everything is. To be able to sit down and know everything’s ready for the morning, that’s the only way you can relax too. Mike: Even if it’s for 10 minutes, that 10 minutes of time in your brain is so important. Joe: That’s great advice. Yeah. Don’t sit down until you get this stuff done, because once you sit down you’re not gonna go anywhere. Absolutely. Mike: It’s very, very hard to get up. Joe: Well, Mike. Thank you so much for sharing your twin journey with us, we really appreciate it. Mike: Thank you so much for having me. Joe: Hope you enjoyed that conversation with Mike about his journey so far. Things that he’s learned along the way. 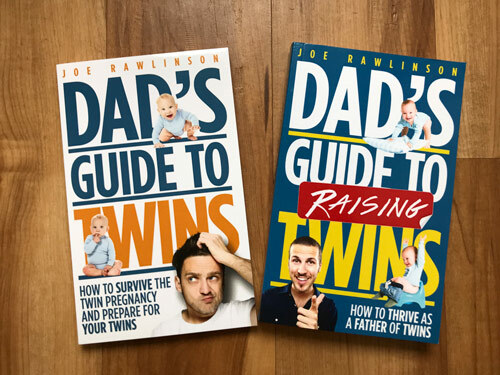 Joe: Just like Mike mentioned that his wife listened to these podcasts while they were expecting their twins, if you’ve listened to this podcast over the months of your twin journey and would love to share your story, why don’t you drop me an email. “[email protected]” I’d love to have you on the show. 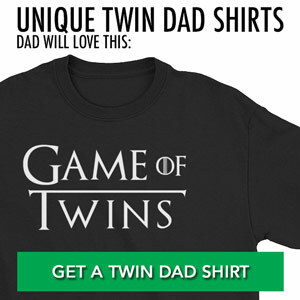 Joe: Again, today’s show is brought to you by my TwinTShirtCompany.com where you’ll find dozens of T-shirts designed specifically for fathers of twins, mothers of twins, grandparents of twins, and your twins themselves. Joe: Again, that’s TwinTShirtCompany.com. Thank you so much for listening. I’ll see you next time.